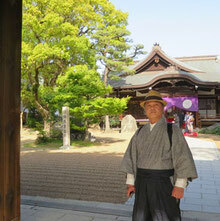 Tabi-no-Suke will guide you to the heart of Japan. Please note that each staff member of Tabi-no-Suke has a nationally-accredited tour guide license. However, we are not a licensed travel agency. What this means is that we are your tour guide, but we can not sell accommodation or travel tickets to you directly. However, we are more than happy to make specific recommendations to you, including providing the name and number of hotels and inns, so you can pay them directly when you check in or out. Tabi-no-Suke will help you experience the essence of Japanese culture. If you are planning a visit to Japan and are looking for a private guide, please tell us what you'd like to see and to experience in Japan, and we’ll help you to plan a personalized itinerary. Osaka, Kyoto, Uji and Nara. PLACE PLUS DESIGN Copyright ⓒ 2017 All rights reserved.